Why do we needs to convert common video formats? What’s the The formats of the videos we download from net are various, and most common video formats are streaming media formats that can be played online. We often need to convert them into videos which are suitable for local players. Because those common video file formats are widely used, we need an excellent common video convert to convert those common video formats. Just look at the format conversion, there are many great video converters, however, we usually have to do much more than converting the video format. The truth is, as well as common video formats converting, we also need to edit the videos, such as to cut or to add watermarks. 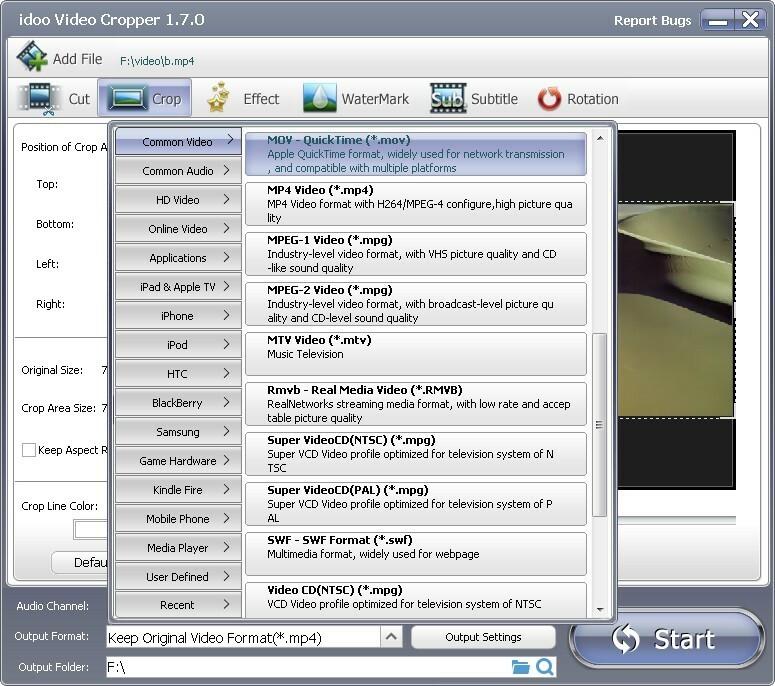 Obviously a tool which integrates the functions of video editing and format conversion is what we are calling for. idoo Video Editor is the best common video converter, it helps you convert common video formats with ease. 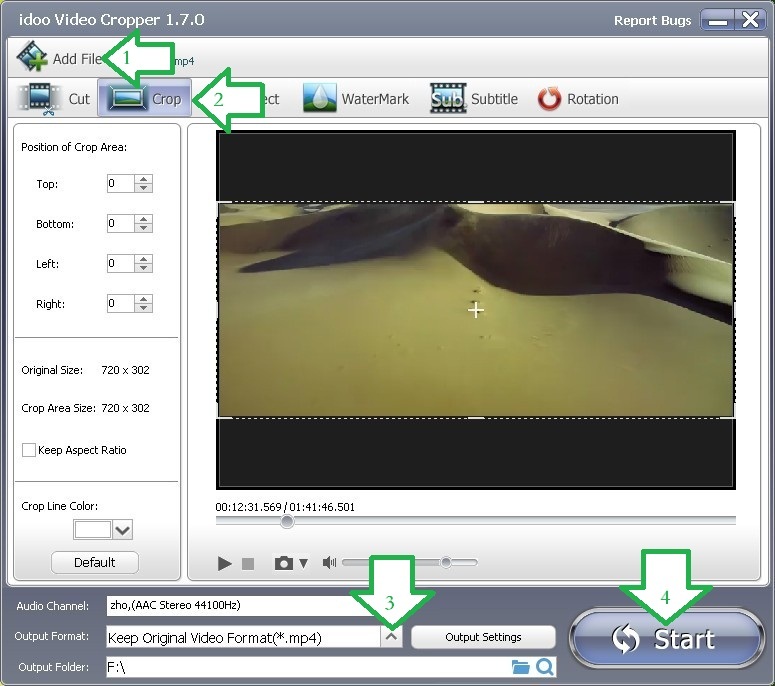 It enables us to convert the video formats and edit the videos easily just in one step. The following part will illustrate how to convert common video formats. 1. Click any function on main interface, take “Crop” as an example (Arrow2). Click “Add File” (Arrow1) to select the file you want to edit. 2. Click the drag-down list of “Output Format” (Arrow3). 3. Choose “Common Video” (Arrow5) in the drag-down list, and you may see the detailed list of “Common Video” on the right. See pictures above. 4. Select the target format, then click “Start” (Arrow4) to begin converting. 5. After that you may do further editing jobs to the video. For more information, please refer to relative articles in our sites.